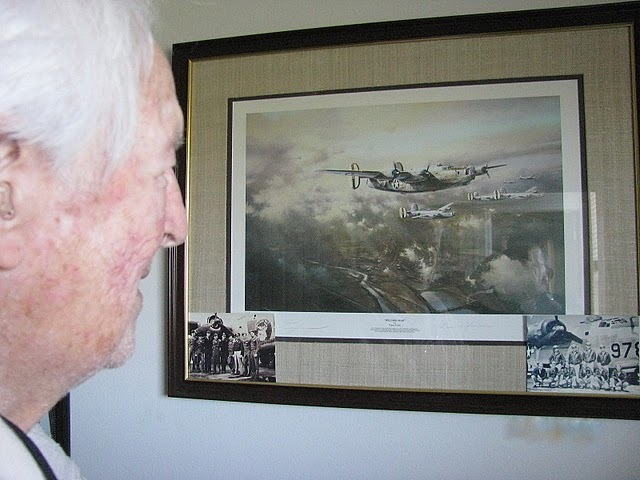 The 81-year-old North Port resident, who lives in Heron Creek Golf and Country Club, recalled, “The thing about that mission was that the powers that be wanted to make sure we hit the pens, so we flew at 12,000 feet (instead of the normal altitude of twice that elevation). We got the hell scared out of us. The low-level bombing by the 8th Air Force of the steel-reinforced, concrete pens accomplished little or nothing. As far as Allied air power was concerned, it was given a black eye by the Germans’ 88-anti-aircraft guns. Even though Jimmy Stewart was their wing commander, his air group didn’t get the cream of the crop in bombers. 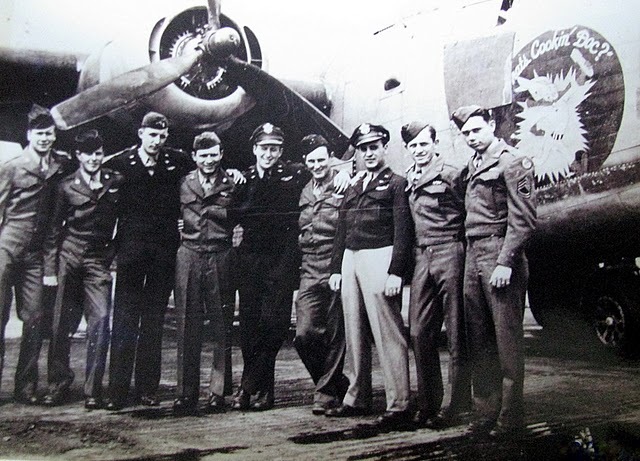 Citron arrived in Attenborourgh in the fall of 1944 with 24 other B-24 bomber crews. “At the end of the first month, we were down to 10 crews. Most of them died down at the end of the runway from mechanical failure or pilot error. We had a hell of a lot of planes over there that were old clunkers,” Citron said. Shortly after their mission over the sub pens at Brest, the 466 Bomb Group had an easy bombing run. “We were coming back from a milk run. A milk run is where you didn’t drop your bombs because the weather socked in the target, but you still got credit for the missions,” he said. “We never saw the ground, not even over our second target because it was socked in, too. A few weeks later, his air group was caught up in the biggest battle on the Western Front during World War II. It was mid-December 1944, and although Allied forces didn’t realize it at the time, it was the beginning of the Battle of the Bulge. This was Hitler’s last great offensive before the collapse of the Third Reich. Early during the Spring of 1945, the 466 Bomb Group was sent to knock out the bridge at Remagen, Germany. This was one of the main spans across the Rhine River into Germany. “We were the fifth group of bombers that tried to take out the bridge. Some good came out of the U.S. Air Force’s inability to blow up the Remagen Bridge. A short while later the U.S. 9th Infantry Division captured the bridge – the only one still standing across the Rhine – and raced into Germany, much to the dismay of Hitler. Eventually, the span collapsed from all the pounding it had taken from both sides. It was quickly replaced by American forces with a pontoon bridge that got the job done. “About this time, the powers that be decided they wanted to make a political statement by bombing Berlin. They put 2,000 planes in the air for this attack,” Citron said. “My crew flew one of those planes with fighter cover from P-47 (Thunderbolts) and P-51 (Mustangs). There were planes as far as the eye could see. Citron and his crew had almost two hours of flying time over enemy territory before reaching the comparative safety of the English Channel. If it had been 15 months earlier and his B-24 had dropped out of formation in 1943 they would probably have never made it back to base. German fighters would have shot them out of the sky. “Then all of a sudden a P-47 pilot radioed us, ‘Hey Big Brother, we’re out here.’ I didn’t spot the two P-47s at first because they were about three miles off flying with us, but one of our gunners did. By this time, 2nd Lt. Carl Citron had flown 33 combat missions. His crew had been on 29 bombing runs and all of them had amassed enough points to go home. At that point, everyone went his own way. They all received a 30-day pass and went home for the first time in more than a year. Citron went back to college, became a mechanical engineer and eventually owned his own machine tool business. His firm sold tools all over the U.S. He and his late wife, Georgia, retired and moved to Florida a few years ago. Children: Diane Citron-Oates of Rye, NY, Carl Citron, Jr. of Greenboro, NC, William Citron of Lake-in-the-Hills, Ill. This story was first published in the Charlotte Sun newspaper, Port Charlotte, Florida on January 25, 2005 and is republished with permission. 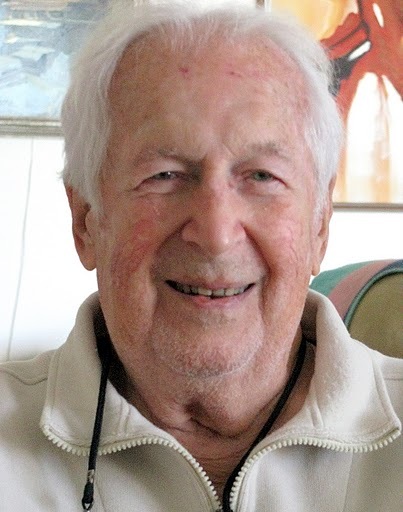 Carl Citron, a resident and member of Heron Creek Country Club in North Port, Fla. died on Saturday, Sept. 1, 2012, at Hospice House in Fort Myers, Florida from complications due to recent surgery. He was 89. Citron was born on June 3, 1923 in Cleveland, Ohio to Max and Malvina Citron. He was the younger of their two sons, and had an older half-brother and sister. Citron attended Heidelberg College in Tiffin, OH for two years, and when World War II broke out, he joined the Army Air Corp. After his flight training was completed, he was assigned to the 786th squadron, of the 466th bomber group in the Eighth Air Force under Colonel James A. (Jimmy) Stewart. Citron piloted B-24 bombers on 31 missions near the end of the war in the European theater. For more on his military career, click here. He returned from the war, and completed his mechanical engineering degree at Case Western Reserve University. A few years later, he was married to the love of his life, Georgia Citron, who shared his life with him for 52 years. He is survived by his three children and their spouses, Carl Citron Jr. (Phyllis Citron) of Greensboro, NC, Diane Citron (John Oates) of Rye, NY, and William Citron (Rebecca Citron), of Lake in the Hills, Ill. Four grandchildren (Erin Blair, Josh Citron, Rachel Oates, Charley Lanza) and four great grandchildren also survive him. Carl Citron worked and was well known in the machine tool industry for 45 years as a manufacturer’s representative in the Northeast, as well as a national machine tool importer. Both of his sons had worked for him at one time, and followed him into this industry. There will be a service held in memory of Mr. Citron at Farley Funeral Home, 5900 Biscayne Boulevard in North Port on Sunday, Sept. 23, 2012 at 10 a.m. The service will be followed by internment at the Restlawn Cemetery in Port Charlotte, Fla.
Re: Attlebridge Diaries, by John Woolnough, 1995.